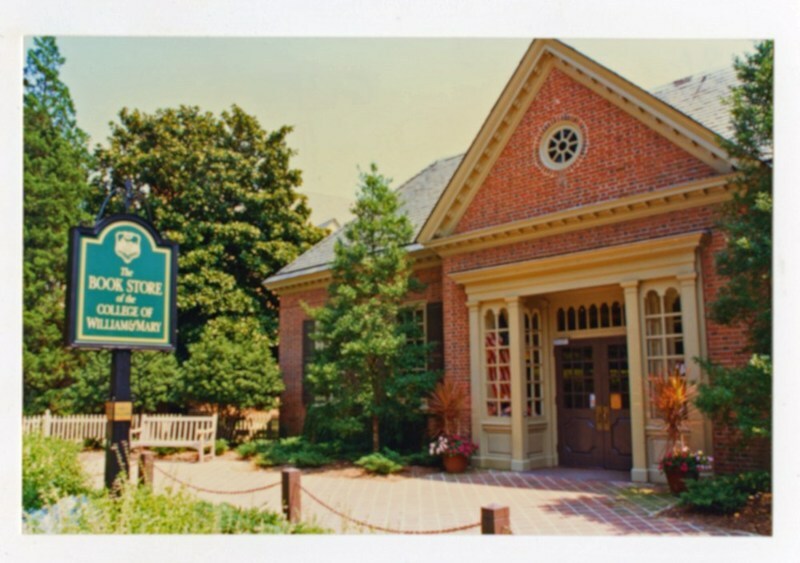 Located on Jamestown road near the Campus Center, the undergraduate admissions office at William & Mary, welcomes more than 25,000 people to campus each year. This building serves as the starting point for the thousands of high school students and their families who visit and tour the Williamsburg campus. Student tour guides working through the admission office conduct more than 1,000 campus tours each year. The undergraduate admission offices were previously housed in Blow Memorial Hall on Richmond Road. 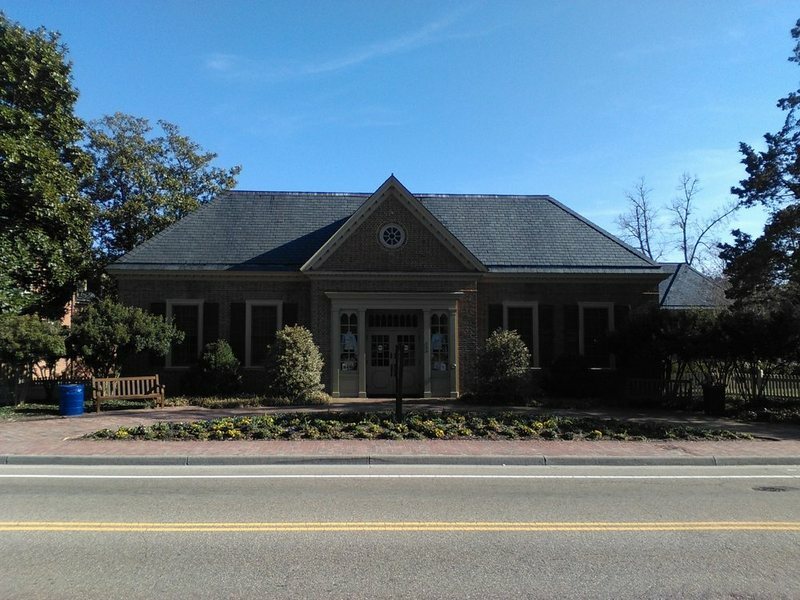 The building, constructed in 1965, housed the college bookstore until that function moved to its current location on Duke of Gloucester Street in Merchants' Square in 2001. The building was renovated to accommodate the admissions office in 2007. Admission Office, 2015: A 2015 image of the front exterior of the Admission Office as it faces Jamestown Road. ~ Source: University Archives Photograph Collection, UA 8. ~ Creator: College of William and Mary. Old Bookstore construction, circa 1965: The Old Bookstore, today the Admissions Office, under construction circa 1965. ~ Source: University Archives Photograph Collection, UA 8. ~ Creator: College of William and Mary. 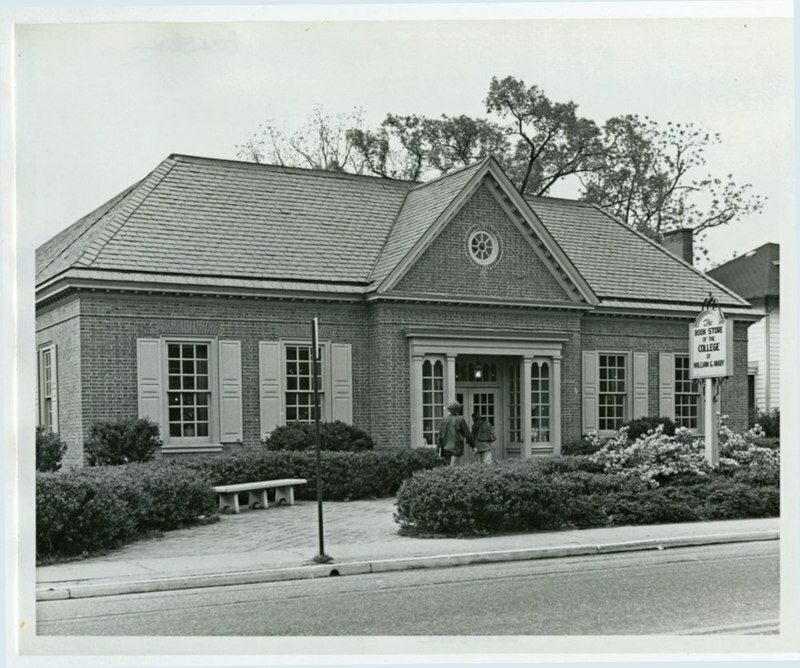 Old Bookstore, undated: The Old Bookstore on Jamestown Road, which became the Admissions Office in 2007; ~ Source: University Archives Photograph Collection, UA 8. ~ Creator: College of William and Mary. Old Bookstore, August 1996: The Old Bookstore, today the Admissions Office, in August of 1996. ~ Source: University Archives Photograph Collection, UA 8. ~ Creator: College of William and Mary. 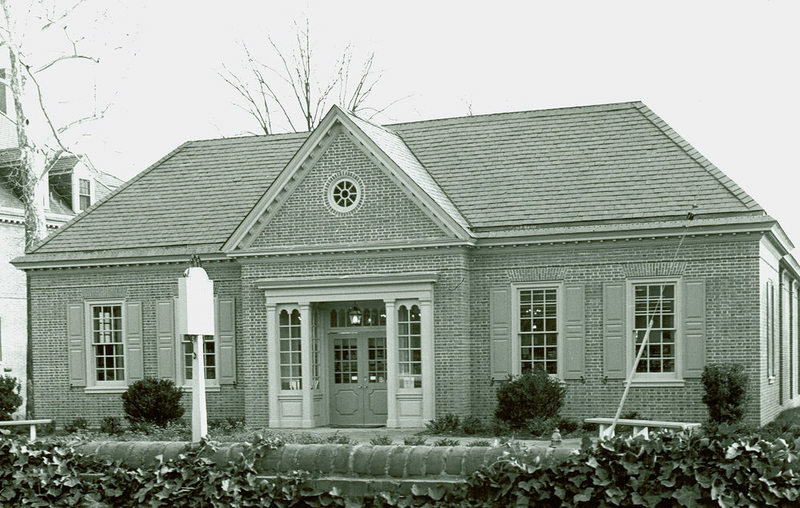 Old Bookstore, undated: An undated image of the Old Bookstore, today the Admissions Office, on Jamestown Road. ~ Source: University Archives Photograph Collection, UA 8. ~ Creator: College of William and Mary. 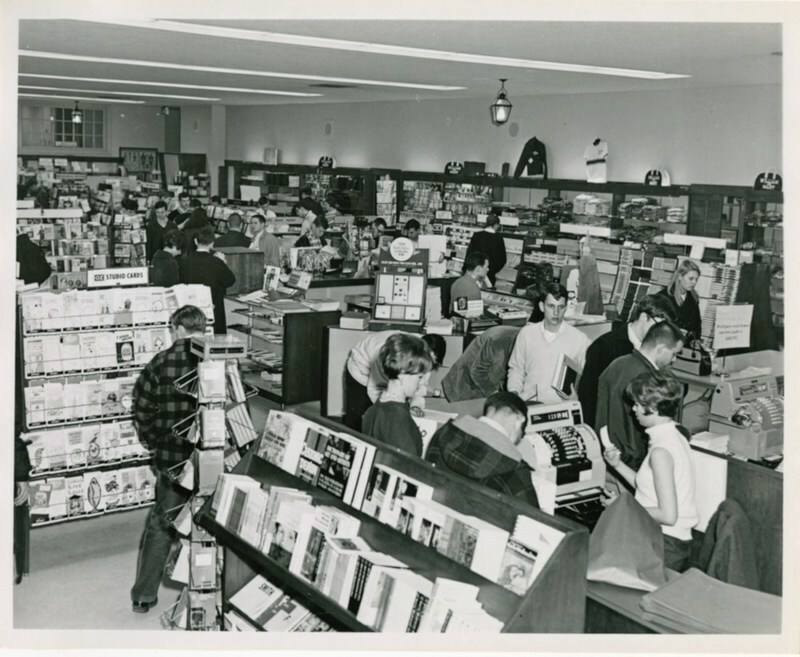 Old Bookstore Interior, undated: An undated image of the interior of the Old Bookstore on Jamestown Road. ~ Source: University Archives Photograph Collection, UA 8. ~ Creator: College of William and Mary. 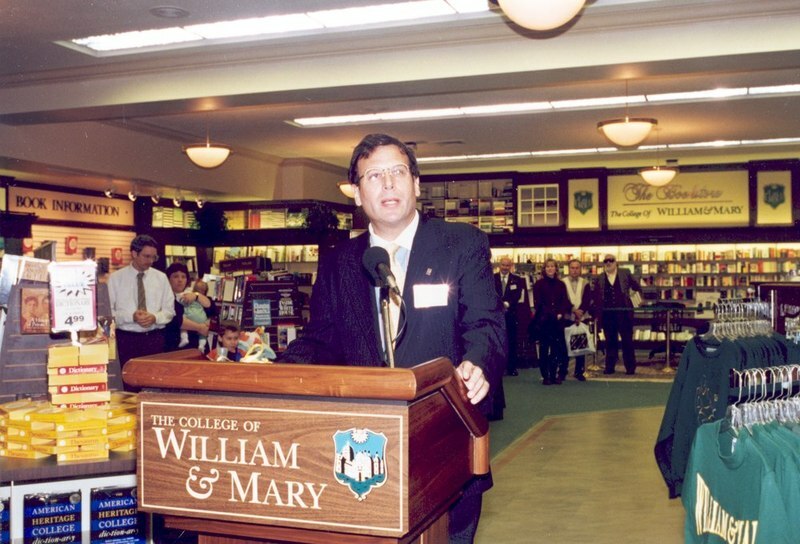 Bookstore Grand Reopening, 1995: The reopening event in 1995 for the Old Bookstore following a large renovation. It would become the Admissions Office in 2007. ~ Source: University Archives Photograph Collection, UA 8. ~ Creator: College of William and Mary. 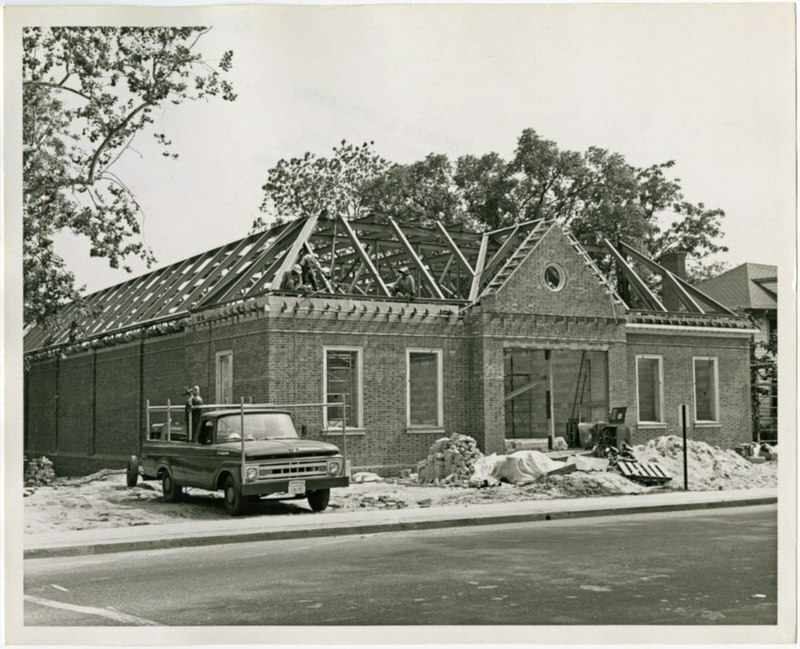 Special Collections Research Center, Swem Library, College of William and Mary., “Admissions Office, Constructed 1965,” TribeTrek, accessed April 26, 2019, https://tribetrek.wm.edu/items/show/49.